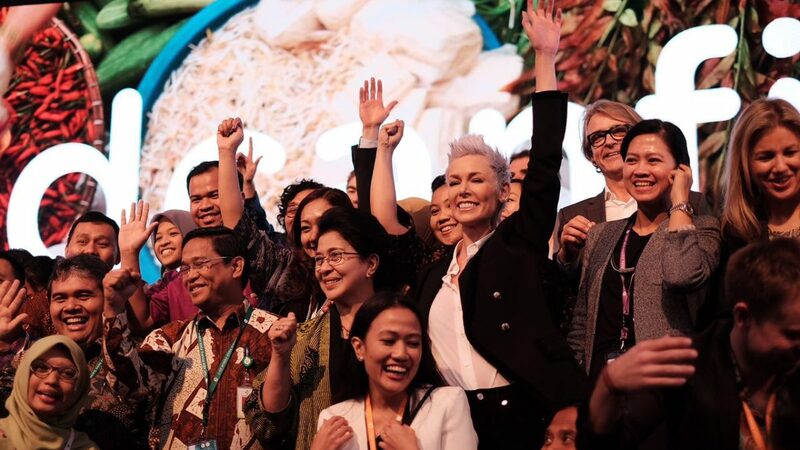 One year ago, the EAT Asia-Pacific Food Forum was held for the first time in Jakarta. 63 speakers and delegates across science, policy, business, farming and civil society gathered to find ways to feed a healthy and sustainable diet to a growing population. The forum was co-hosted by the Government of the Republic of Indonesia and EAT. As the most populous region in the world, the Asia-Pacific plays an vital role in agricultural development. 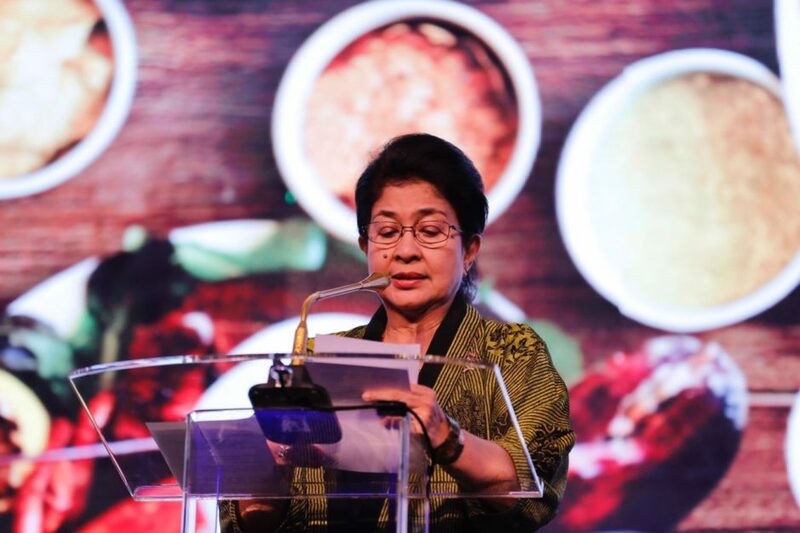 “Indonesia aims to become a pioneer in staging an enabling environment to harness exchange of ideas, evidence and efforts in transforming the food system.” – Nila Moeloek, Minister of Health of the Republic of Indonesia. 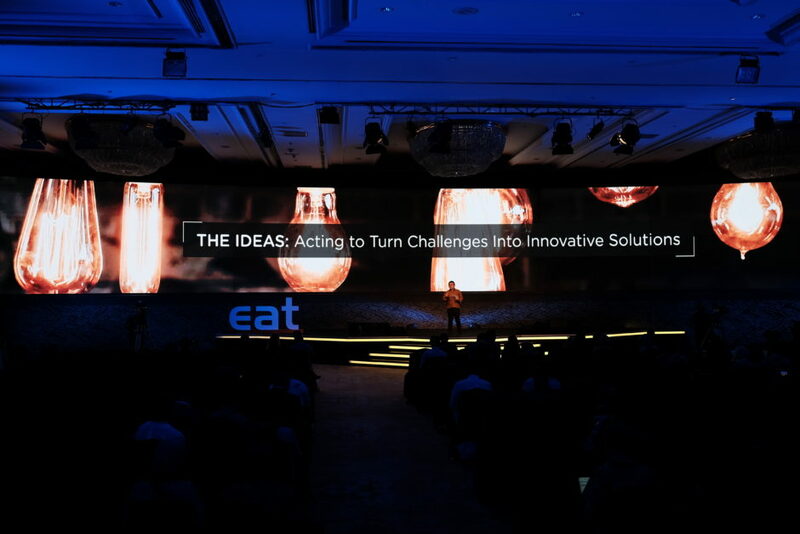 The EAT Asia-Pacific Food Forum provided an environment where collaborations and ideas could develop and grow. Shortly after the forum, a policy brief was written as a part of Indonesia’s new 5-year National Development plan, including ways to ensure healthy and sustainable food for all. “A more collaborative approach between all stakeholders is needed. Criticism is important in pinpointing who is right or wrong, but it is more important to work together.” – Shinta Widjaja Kamdani, President of the Indonesia Business Council for Sustainable Development. This year the Faculty of Medicine at Universitas Indonesia and CISDI hosted a multi-stakeholder roundtable, and the Minister of Health in Indonesia, Prof. Nila Moeloek, attended EAT’s side event at the UN General Assembly (#UNGA73), where concrete steps for bridging the interconnected goals for a better food system was discussed. As a result of these dialogues, EAT is launching a policy brief together with the Indonesian Ministry of Health, Chatham House, the University of Indonesia, and the World Health Organization. The brief explains how the Indonesian Government can meet its ambitions of a shift towards healthy diets from sustainable food production. “This policy brief and the overall collaboration with the Indonesian Government are two powerful examples of where the global food problem is recognized for what it is – a complex web of issues that requires systemic solutions and open minds towards interconnections by those involved.” – Patricia Paramita-Ohnmacht, EAT’s Head of International Policy.